Adventure Sports in Hershey is always looking for qualified individuals that want to work hard and have fun at the same time. Our facility is seasonal with operating hours in March through October. January is the best month to apply for hiring, right before the busy season starts. However, we accept applications all year long. Adventure Sports offers a flexible work schedule, but applicants should be aware that since evenings and weekends are the busiest, employees are expected to work during those times. Many past and current employees comment on the memorable experiences they have working at Adventure Sports. Employees enjoy new friendships, staff outings and free use of the facility. 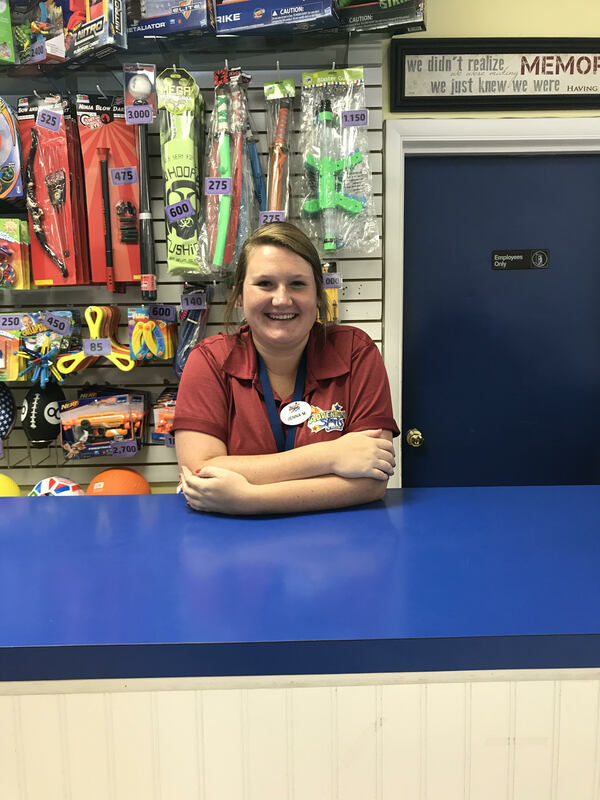 We expect our employees to have fun, work hard and be responsible for our entire facility including mini golf,batting cages, bumper boats, go karts, outdoor laser tag, arcade/redemption and snack bar. Employees are also responsible for maintaining a clean and safe atmosphere. Adventure Sports hosts many birthday parties and group outings which employees are responsible for assisting. Cash register experience is helpful but not required. We will train all attendants for each position. Uniforms will be provided. A dress code is strictly adhered to. Adventure Sports realizes that the employee is on the front line everyday and is the ambassador for the company. The performance, knowledge and quality of the employee is critical to our success. The owner and manager is accessible to the staff at all times as we consider everyone to be a part of a team. There is flexibility given to the employee to request time off for other activities. When not conflicting with company and/or guest needs, management may schedule based on the personal needs of an employee. Through cooperation, the whole team focuses on the number one goal, which is to provide safe, quality family entertainment to guests of Adventure Sports in Hershey. The positive attitude of the employee, in the end, will result in better performance, and both guest and employee satisfaction. Join our team where “every day is an adventure!” Adventure Sports in Hershey looks forward to hiring any person that meets the qualities it takes to become a team player. A smile and positive attitude goes a long way!